All candidates for the M.A. 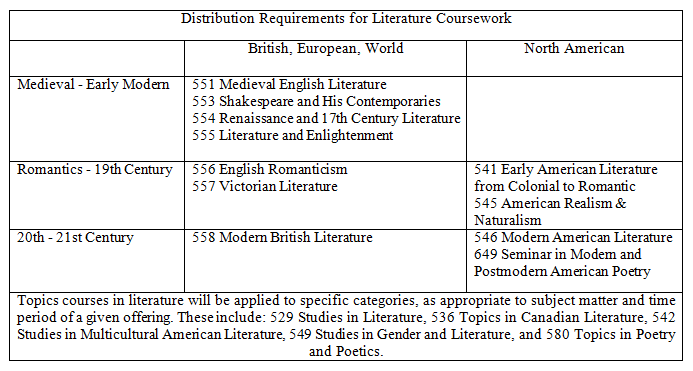 in English are required to complete at least one literature course in four of the five categories indicated below. Candidates who have not declared a concentration will also be required to take a course in theory. The Graduate School requires that second-year students who have completed 12 credits of graduate study fill out a Program of Study (POS) form when they begin their third semester. 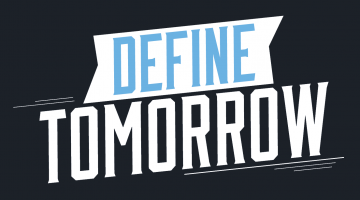 The form is available through the link below, and also on the University of Maine Graduate School website. This document acts as a contract between you, the Graduate Coordinator, and the Graduate School. When you apply for graduation, the Graduate School compares the POS with your course transcripts. The POS should list at least 30 credits of graduate course work, and the student must work closely with the Graduate Coordinator to complete the form. The student will keep a copy for their files and submit the original copy to the English Department Graduate Secretary who will then forward it on to the Graduate School for processing. For more information please visit our Graduate Symposium information webpage.